In the past few months I have had a few people asking me 'How do I start blogging?' or one of the main questions is 'How do you get free stuff? How could I get it?' and 'How do you get paid?'. Well the only thing I can really explain is how to start blogging. I will write a little on the other two questions too later on in the post. I started blogging in May 2013 after I had seen something advertising on TV and then when I came accross OhSoAmelia's blog. Her blog really inspired me to start my own blog. I started my blog to write about day to day life with my two daughters but in the past 2 years it has become more than that and have seen some lovely other blogs on the way and learnt so many more new things. There were many things to think about before starting a blog and in the past nearly 2 years there have been many other things which I thought I would never be doing whilst blogging. You need to think long and hard about what you are going to name your blog. You need to try and think what will your blog be about? Also you need your blog name to describe you/your life a little as it will be your unique name. You might not want to have something very long and confussing, it may be best to have something simple and easy for people to remember. I chose Life-As-Mum because it reflects me as my life as a mother, I knew my blog would be mainly about life as a mum to my two daughters. Another thing you may want to learn about is making your layout. You can pay someone to do your layout but if you're a bit fussy like me then you'd learn yourself. I used to make a lot of layouts myself for other Social Media websites over 7 years ago so I am still learning to get my HTML skills back again. I've chosen a simple and plain layout as I don't want to confuse people with a confusing layout. You want it to appealing to other people so they come back again and you want all links to be on show and easy to find. I've been on a few websites where the layout is just too much in your face and really confusing and I instantly clicked the 'X' button and that isn't what you want your readers to do. Also if you would like to start working with PR's then you will need to make your 'Contact' page very clear so people can find it. You may need to think about your Social Media. Having a Twitter account and Facebook page can bring in more readers/traffic to your blog. You may need to think are you going to keep your personal Facebook account away from your blog or are you okay for bloggers to find you that way. If you do decide to have Social Media linked to your blog then make sure your Social Media links are very clear on the blog so people can find you. There are other Social Media sites bloggers use to get traffic in to such as Instagram, Pintrest and more. You need to think what are you going to write about? If you have chosen a name for your blog already then you should have your blog topics ready. When I started blogging my blog was just about Family Life and Lifestyle but in the past two years I have recently been bringing new topics in such as Adventure Travels, Pregnancy and Weight Loss Journey. It's your blog so you decide what your topics are and what you write about, just yet again you may want to make it clear to your readers what your blog is about. If i'm honest I was really confussed on how to make my own domain but I managed to do it somehow! So I can't really give a lot of advice on this, all I can say is just read and follow the instructions carefully. I went for .co.uk because I live in the UK so maybe think about that too. You might want to think if you want to blog part-time or full-time. To me blogging is just like a hobby but it is also like a part-time job too. I love writing blog posts and trying my best to get the blog organised and up to date. It is much harder than what most people think. If i'm honest I thought it would be easy to keep on top of a blog and there would be no hard work involved - but there is! That is when you may need to think what kind of blogger you want to be. There are many bloggers out there who keep themselves anonymous. You need to think are you going to let your readers know who you are or just keep yourself to yourself and give yourself a nickname? Also if you have a partner and children, are you going to let them know their names and are you going to post photos? I say mine and my girls names but I don't say my partners name as I think that my relationship shouldn't be posted all over the web but that is just my personal choice. So you need to think how are you going to be known to your readers. - does it fit your blog? - will it be handy for you in future? - have you got time to review the product? You don't want to agree to do a review for a product if you don't have time, doesn't fit your blog or won't be handy for you in future. We review products in return of a very honest review on a post so you don't want to accept it and not be able to do an honest review. When you start your blog you can't expect to review products straight away, you might not even start reviewing products until your blog is around 6 months or even a year old. Paid posts are just the same. You have to work hard and just wait. What I have learnt with having a blog is you have to have patience. You can't gain followers, readers, product reviews and paid posts over night. You have to work hard on it. You have to have patience as one day paid posts and product reviews will come at you. What made you start blogging? 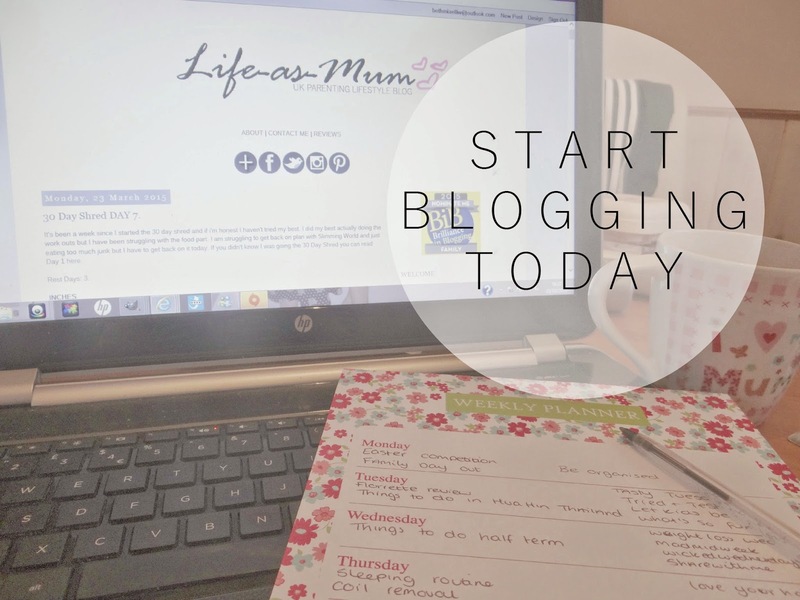 Have you got any other tips to give to people who want to start blogging?